1. What is book metadata? Why is it important? 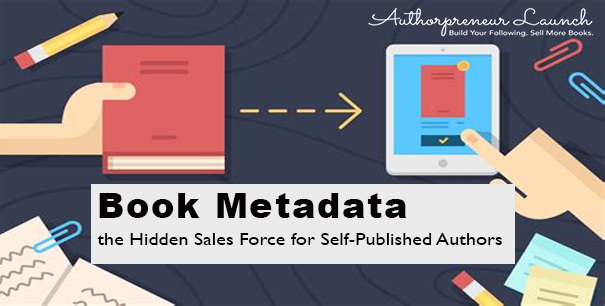 Book Metadata is all the data that describes your publication, including: title, author, book description, contributors, genre, ISBN, price, and keywords. In short, it’s all the searchable stuff that readers use to find and discover your book—whether they’re in the library, a bookstore, or online. Book metadata allows your book to be discovered by readers. It tells search engines, librarians, and retail booksellers what your book is about, where to locate and shelve your book, and who might want to buy it. Book metadata is the key to increasing sales. Keywords are the search terms customers enter into a web browser search bar when looking for items online. Including specific keywords into your book metadata means that readers looking for your specific type of book will find it. To begin identifying keywords, note any words or short phrases that readers might enter into a search engine to find your book. Focus on specifics that apply to your book. If you’ve written an adventure book, what’s it about? What keywords apply? For example, if you’ve written about being present to one’s life, “psychology”, “mindfulness”, “meditation” or “Buddhism” might be relevant keywords that will lead readers to your title. Also, utilize phrases that describe the characters in your book (e.g. “single mom”, “teenage drama”, “mid-life crisis”, etc.). Finally, include the book’s genre as a keyword. And, if applicable, include the period in which your story takes place (e.g. Early 2000’s). To narrow your list of keywords, note what the most popular search terms are for your subject. Use Google and Amazon searches to explore and gain insight into possible search terms readers might use. Also, check out Google’s Keyword Planner, a free tool that analyzes the popularity of your keywords. Once you’ve identified a handful of solid keywords, enter them in your book’s title record on your publishing platform. Include as many as seven keywords/ phrases in your metadata, separating each with a semicolon. Keep in mind that keywords are also a part of optimizing SEO. So, as you continue to build and expand your author brand, evaluate new trends and check the popularity of your keywords, making updates as necessary. Be sure to carry over any changes to your book metadata (including your title, subtitle, author bio, contributor fields, and book description) to your personal website, social media profiles, and book description to help search engines find you and increase sales. Your book title is a critical piece of metadata. So it’s important that you select the best, most original title possible for your book. To get started, brainstorm ideas with fellow writers, friends, and trusted readers. Research your potential title to be sure it isn’t taken by another book. And, finally, be sure that your book title reflects the type of content that’s inside your publication. The goal is to make your book title original, on-theme, and memorable. To that end, avoid one or two word titles. Also, avoid excessively long or complex titles. You want people to easily type your title into search bars without difficulty. Remember that many readers are searching for books using mobile devices with small screens, so make sure your book title is mobile-friendly (80 characters or less). • Make a (P)romise to your reader about what they will get out of reading your book. • Create (I)ntrigue by engaging and drawing readers into your book. • Identify a (N)eed, known or unknown, in your readers’ lives. • State the (C)ontent to let the reader know exactly what they’ll get from reading your book. Many nonfiction books have subtitles to explain their contents. Research whether books similar to yours have subtitles. If so, consider the following basic guidelines. If you’ve written a novel or memoir, often the best subtitle is simply “A Novel” or “A Memoir”. Also, a popular trend in memoir is to build a subtitle around your book’s theme: A Memoir of Hope, A Memoir of Loss, etc. Using a theme as a subtitle immediately invites readers who are exploring these themes into your work. If you’ve written a book of fiction in a series, a subtitle will be replaced by a series name (e.g. Volume 1 or Book 1). Finally, if you’ve written a self-help or spirituality book, include a subtitle that explains the book’s purpose. For example: The War of Art: Break Through the Blocks and Win Your Inner Creative Battles. Or, a subtitle for a self-help book might preview the book’s structure. For instance, Forever Young: 12 Ways to Fight Aging and Preserve Youth. Whatever you choose, incorporate keywords into your title and subtitle. As a central component of your book metadata, these keywords will help your book appear in relevant searches from relevant readers. Want to hook potential readers? A good book description is your elevator pitch: a short, detailed piece of copy used for book marketing, book discovery, and sales. It’s also succinct. A well-crafted book description reads in about 30 seconds, 100-200 words max, and provides critical information to consumers, booksellers, and librarians seeking to understand your work. • Describe your book in simple, straightforward terms. • Stay age-appropriate, relatable, and highlight selling points. • Research related work, paying attention to length, point of view, voice, and how stories are described. To write your own book description, start with a clear and succinct headline that highlights what matters most about your book. Incorporate keywords, including genre, key topics, important themes, characters, etc. This headline sums up the main selling point of the book. Your book description will appear in search queries online. It’ll also likely be used on your book’s back cover. That means your book description has got to have a selling focus. What was the reader looking for that brought them to your title? Offer details that expand upon the above headline and demonstrates value. As you go, you’re offering readers not only a preview of your content but also a sample of your writing style. If you’ve written a book of fiction, describe the plot, settings, and key characters. What do they want? What challenges do they face? What sets the story in motion? If you’ve written a work of nonfiction, tell readers about the subjects covered, including how the reader will benefit from reading the book. Your description explains how your book addresses these problems, how it helps, informs, and entertains readers. You can also include relevant background about you, the author, and any credentials or experience that makes you an expert. Finally, the good book description ends with a strong close. In the final 25-30 words, reassert the importance, value, and relevance of the book. In 25-50 words: who is the book for? Are they fans of a notable author? Is this book a great gift for a certain type of someone? Include any awards and nominations or a strong review quote that pack a punch and close the sale. As I mentioned, your book description often serves as copy for your book’s back cover. Keep in mind, some of the SEO phrasing and keywords you used for your digital book description metadata (above) may not be as relevant for the physical back cover of your book. To begin, visit your local bookstore and take a look at the back cover of popular titles. Note the brief space, just 50-60 words, necessary to the share a compelling pitch with potential readers. Also, note the difference between long and short book descriptions. While both exist for marketing purposes, public information, and sales, the long description is the detailed exposition I detailed above. Meanwhile, the short description is essentially your headline—your elevator pitch–designed to appear in publishing catalogs, trade show copy, websites, marketing materials, and press releases. To avoid confusion, include only relevant work and achievements. For example, if you’ve written a book on endangered aquatic life don’t tell us you were a state champion high school swimmer. Stay on theme and share why you have unique expertise on your subject. If you like, include where you live, maybe even a hobby or an association, but don’t go overboard. The goal is to share personal information that can garner interest and cultivate an additional connection with potential readers. If you attended a prestigious institute it may be worth mentioning—particularly for nonfiction authors looking to establish credibility. For everyone else, especially writers of fiction, it may come across as disjointed to name drop your alma-mater, so don’t do it. Some readers may want to know more about the writer. This is a chance to build your author brand. Be sure to list your author website, Twitter handle, or other relevant points of contact. Include any contributors to your book. Including them in your book metadata boosts your marketing as your book now appears in relation to your contributors’ work as well. Simply, be sure any contributor you bring on-board has work that is strongly related and relevant to your field. 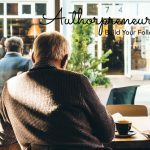 Spell your name exactly the same way on your book cover, your author website, social media profiles, and anything related to your book and author brand. This creates more links to you and your work and improves performance on search engines. Subject codes are coded categorizations common to the publishing industry. They tell potential buyers, retailers, distributors, and search engines what your book is about and where to “shelve” it as merchandise. Important: without a subject code, your book will be lost and unidentifiable as a stock item. At a minimum, you need a single code, but it’s a best practice to tag your book with three subject codes. As you consider the options, choose subject codes that are relevant to your content, accurate, and describe the content of your book as a whole. For example, an adventure novel might be categorized with an “adventure” subject code. At the same time, a “travel writing” code might also be accurate. As a rule of thumb, your first subject code should be the most specific. If you want to improve your book’s chance of discovery and sale, select subject codes from multiple top-level subject categories. For example, you might classify a comedian’s memoir under both Biography and Humor. Or, you might classify an inspirational book as Self-Help and Religion. Finally, think about the way a code like Diet & Nutrition would serve readers better than a general subject code like Health & Fitness. The more specific your code, the more targeted the reader it will attract. Lastly, avoid the “General” codes, especially if you’ve already selected a more specific code for your category. Stay consistent across formats, matching the subject codes for print and ebook versions of your work. And, if you’re publishing a children’s book (ages 0-11) you’ll need at least one Juvenile Fiction or Juvenile Nonfiction code; meanwhile works for young readers and teens should have at least one Young Adult Fiction or Young Adult Nonfiction code. Think through your choices. Booksellers and librarians will not consider your book unless it’s categorized in a way that’s clear at first glance. Do this right and you’ll give your book every chance to succeed! Major publishers work hard to secure book reviews for new titles. Why? Because reviews speak to the author’s competency, set the tone for reader interaction, and distinguish a specific book from the myriad of other books competing for readers. To begin, check to see if your publishing platform provides space in the title record for review quotes. It’s not a central part of your book metadata, but there’s good reason to include them. Reviews will serve as a sign of you and your book’s authority. They lend legitimacy to your work. And, when reviews are provided by credible, qualified individuals, they’ll offer a powerful endorsement of your book. And, keep in mind, while readers will never see a physical book in print, these reviews add credibility to your publication as metadata in the digital environment. As a general rule: seek reviews only from credible, qualified reviewers. Avoid family, friends, or names unknown to the outside world–even if these individuals write loving, glowing reviews. Beyond your book metadata, there are lots of great ways to utilize positive reviews. Consider them marketing tools. 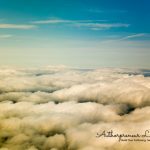 Repurpose positive reviews on social media, blogs, press releases, your author website, in interviews, and bookstore shelf-talkers. So how do you secure book reviews, include them in your metadata and increase sales? After exploring any known connections with quality, potential reviewers in your network, check out credible review sites online. Read their submission guidelines carefully. Then, give priority to positive reviews that praise specific aspects of your book including: it’s strong opening, compelling storyline, great writing/editing, characters, etc. Trim size is your book’s height and weight. It’s also an important piece of book metadata. When choosing a trim size for your book consider what’s the typical size for used in your book’s genre. What sizes are established publishers using? How will a chosen size impact professional opinions of your book? And, finally, how will it relate to page count and the price to print? To get started, visit your local bookstore. See what the major publishers are doing with sizes. Remember, this is not a place to be unique. Book buyers are creatures of habit who prefer what’s familiar. For further reference, look at the USA Today bestseller list, the Amazon top-sellers, and the New York Times bestseller lists. These published books set the standard. So, if 6×9 is the preferred trim size for books in your genre, follow suit. Your goal is to format your book so that it fits in and looks professional among its peers. Finally, remember that your chosen trim size will influence the price to print it. For instance, a 6×9 book will take up fewer pages than a 5×8 book. So make sure your choice makes sense for both your genre and your budget. A book’s ISBN is it’s international standard book number. It protects your book from copyright violation. An ISBN is required for each version of your work that you sell. So, naturally, it’s an important component of your book metadata. Your book’s ISBN is critical to it’s relationship to the book business. Retailers, distributors, wholesalers, and libraries receive ISBN data to discover, purchase, and catalog your title. Your ISBN also isolates specific information about your book and separates it from other authors and work. Some self-publishing services offer ISBN’s for free. Don’t do it. At Authorpreneur, we recommend owning your ISBN. This gives you, the author, control of the metadata that describes your book. After purchase of your ISBN from a credible service, click the ISBN number, and fill out the data in the provided registration form field, including: title, author, description, page count, size, language, copyright year, date of publication, contributors, category, title status, price, currency, book cover, and interior (to index keywords). Whether your book is print or an ebook, make sure you control your ISBN as a self-published author, provide rich metadata, and improve your chances of having your book discovered. When self-publishing a book, it’s important to identify realistic profit goals. What do you intend to make? Is that goal realistic? Are you ok with breaking even? Finally, for some self-published authors profit isn’t the focus at all. If that’s you, writing and publishing alone may be your compensation. Whatever you choose, remember that your book’s price is a part of its metadata. To determine an appropriate price for your book with research. Identify books similar to yours. What price are readers are willing to pay? Pay attention to details, comparing only books that match your format and genre, including trim size, page count, and style. Also, ask booksellers and librarians what price they would expect for a book like yours. Remember to look at traditionally as well as independently published titles. If you’re publishing an ebook, use Amazon to make price comparisons. You may also want to consider incentivizing buyers by discounting your book. Often, a price just below the average makes a title attractive to readers. Also, look at promotional sales options. Many times a book will be launched at a promotional price like $0.99, then bumped up to $1.99 after a predetermined period of time, before finally arriving at a target price. This strategy uses increased sales at a low price to create increased future demand at an elevated price. Keep in mind, there is is a global market for books. Why not try selling your book across multiple markets, increasing exposure, and expanding your potential for sales? Check the pricing of books in your genre across the world, and use that data as you set the price for your book in those markets. Finally, some publishing platforms provide authors with compensation calculators which estimate author earnings. Use every tool at your disposal to be sure your profit goals are within reach. If estimated profits don’t meet your expectations, you may adjust your price. However, don’t arbitrarily make your book too expensive or too cheap. Instead, adjust aspects of your book to help you reach a better profit per book. And, remember: compensation per book matters less as you increase sales. The new year is a great time to sell self-help, religion, or project books about change, diet, health, personal growth, career, home improvement, etc. Valentine’s Day makes February a mood month. Romance, cooking, wedding-themed books and collections of poetry typically do well. It’s Easter-time. Spring has begun and the summer is coming. It’s a good time for inspirational content, religious reads, picture books and gardening titles, who often post strong sales. April is a smart time to release books about travel. or books about exotic locales. It’s also National Poetry Month. May means Mother’s Day and Cinco de Mayo. It’s a hot time for memoirs, coffee table/ photo books, romances, and Chicano reads. Graduations are going on. It’s time to publish your inspirational or professional book to help grads grow into the future. People are begin to travel. Publish these books now! Summer reads are page-turners like romance, mysteries, sci-fis, political action, and thrillers. Publish histories, biographies, political books, and education related content during September. Also, as fall approaches, horror and paranormal stuff do well. Do not publish at this time unless your book is holiday themed, a children’s book, or a horror book (October). Bookstores are busy stocking inventory and often overlook releases by new authors. Mastering book metadata might seem daunting, but don’t be discouraged. Go step by step through the items above, remembering that the book metadata you are developing will describe and identify your book to retailers, librarians, distributors, and, most importantly, potential readers. It’s the hidden sales force for self-published authors. It’s the difference between simply writing a good book and selling a good book. Best of luck! Let me know what you think in the comments!